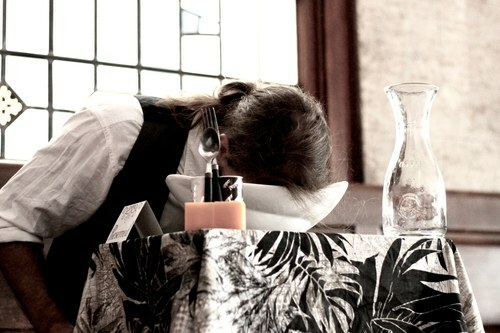 "Egeon's Comedy of Errors" directed by Molly Seremet, as included in Compass Shakespeare Ensemble's devised show titled A Lecture on Classical Latin (2016). 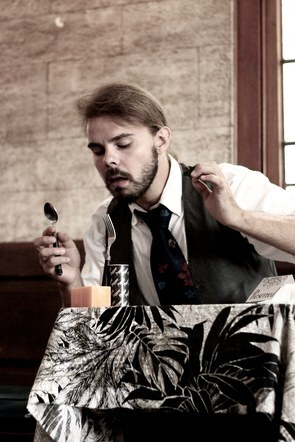 This vignette is based on Egeon's monologue in A Comedy of Errors, telling the tragic story of his family's division via shipwreck. 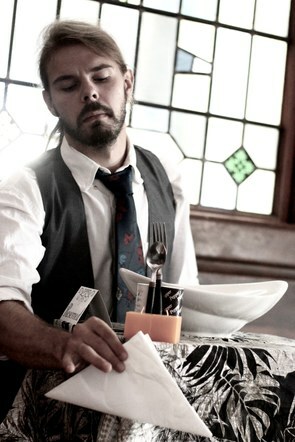 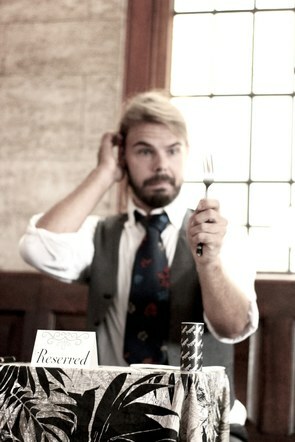 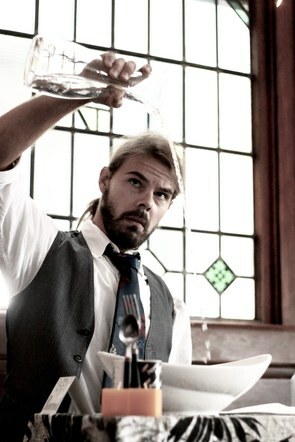 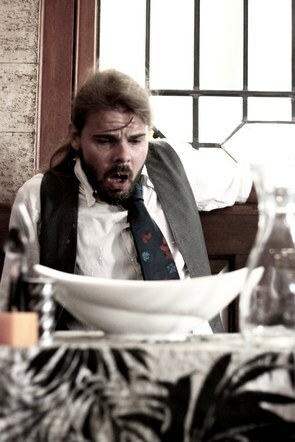 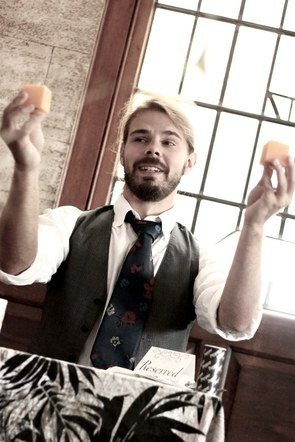 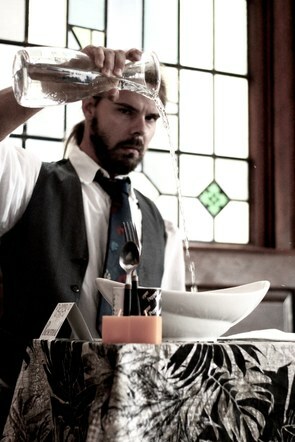 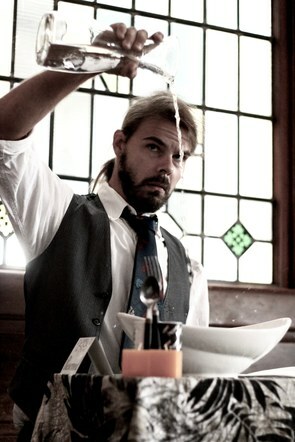 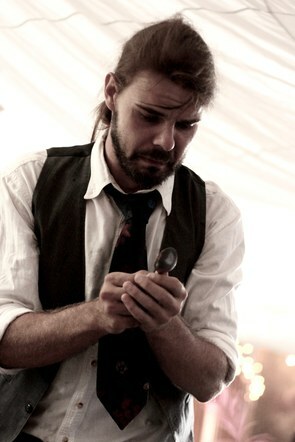 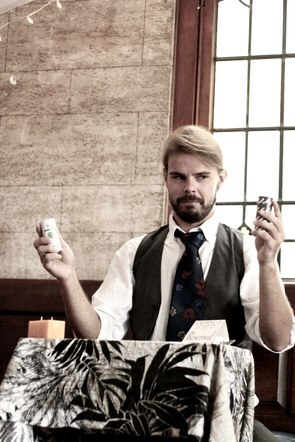 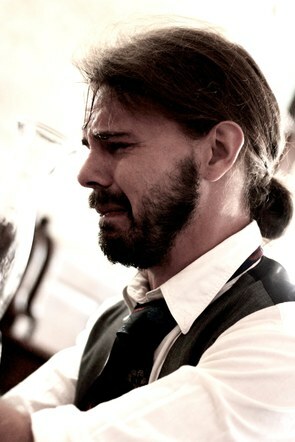 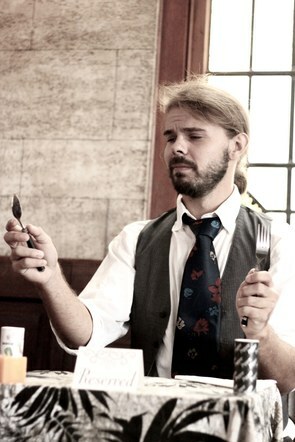 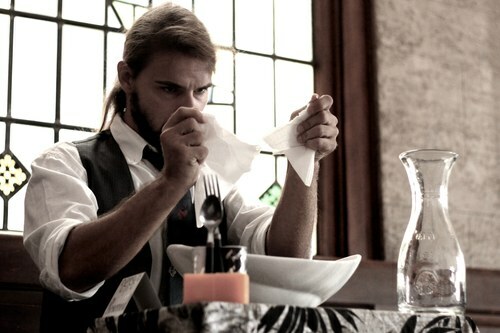 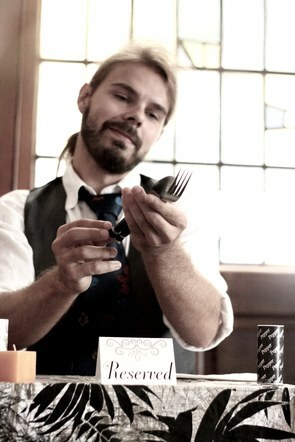 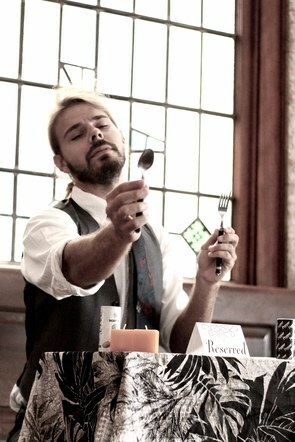 As pictured, actor Ryan Odenbrett uses items found in a restaurant's table setting to "play" the story and express his longing for his missing loved ones. 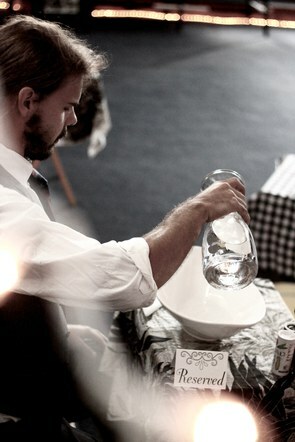 All photos by Jonathan Freesen.